Lebanon is moving to make the natural gas and petroleum resources in its maritime Exclusive Economic Zone commercially extractable. We’re talking about the Levant Basin, which stretches from the north of Egypt to the north of Lebanon and south of Cyprus—an area estimated to hold about 122 trillion cubic feet of undiscovered, technically recoverable natural gas and 1.7 billion barrels of undiscovered, technically recoverable oil. Bidding was opened on 1 February for pre-qualifying for natural gas and oil exploration drilling. On 6 February, the Lebanese government approved the conditions for companies bidding in the first offshore oil and gas exploration license. The list of pre-qualifiers should be released by 31 March and those on the list will be able to place bids over a six-month period beginning on 2 May. Expressions of interest have come from Royal Dutch Shell, Cairn Energy and Cove Energy, among others. Natural gas extraction is slated to begin in 2014 and oil extraction in 2017. • Norway-based Spectrum Company, which recently carried out 3D seismic tests, says Lebanon may be sitting on natural gas deposits greater than those found in nearby Cyprus; Spectrum’s survey’s estimated 25 trillion cubic feet of natural gas in the 3,000-square-kilometer zone—or, more than Syria and Cyprus combined. 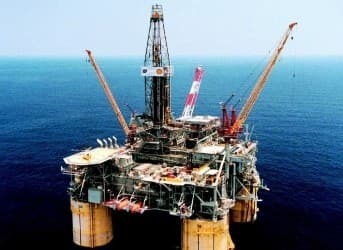 • The Lebanese parliament has passed legislation paving the way for issuing exploration licenses; it has also appointed a six-member Petroleum Committee to oversee the bidding process. 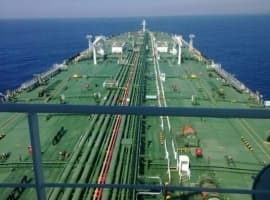 • Geographically, this is promising: In nearby waters, Israel has discovered some 16-25 trillion cubic feet of natural gas and an estimated 600 million barrels of oil in the Leviathan field in the Eastern Mediterranean; overall, the Eastern Mediterranean is estimated to have as much as 200 trillion cubic feet of natural gas and 3.7 billion barrels of oil (it’s hard to get at though—6,000-20,000 feet deep). • Lebanon’s infrastructure is woeful at best: It will need everything from liquefied natural gas (LNG) plants to pipelines in order to get these resources to market. • Lebanon’s military cannot offer any significant protection for offshore energy infrastructure, and there should be concern that these offshore venues overlap with sea-based weapons’ smuggling routes for Libyan weapons flowing to Syrian rebels; however, Lebanon’s Navy is working to push a strategy that would give it a clear mandate for protecting the country’s offshore energy resources—but we’re not there yet. • Lebanon’s port of Tripoli is currently a flashpoint in the Syrian conflict. • Lebanon and Israel still need to delineate their maritime border where these energy resources have been discovered; a draft boundary agreement has been drawn up and is being mediated by the US and the UN. 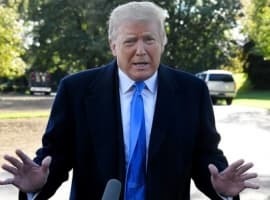 • Sectarian rivalry and government polarization make the regulatory environment tricky, and this will be further aggravated by the conflict in Syria—even more so in the aftermath of an Israeli airstrike on Syrian territory, near the border with Lebanon. • Parliamentary elections in June will be held against a backdrop of rising uncertainty and the political horse-jockeying may bode ill for the energy sector.